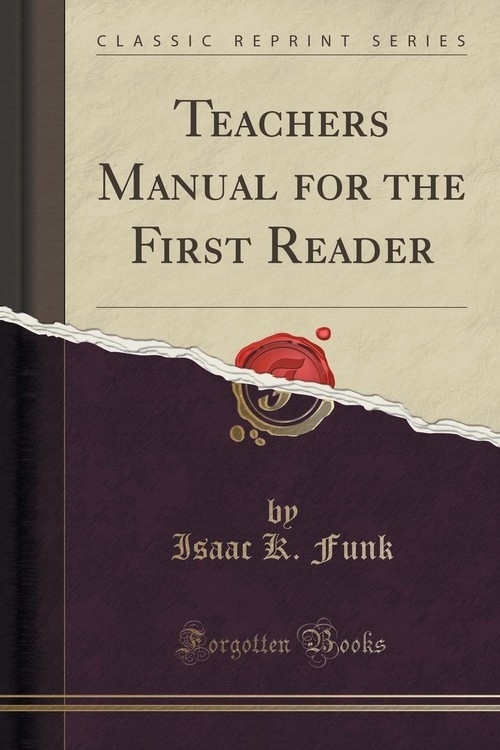 Opis: Teachers Manual for the First Reader (Classic Reprint) - Funk Isaac K.
In the following pages is repeated somewhat largely the Introduction to the First Reader, but thoughts there given are here enlarged upon, and others are introduced. A child learns words in trying to tell or understand some thought. Keep him interested in the thought, and the battle is soon won. The prattling babe is not told that this is the name of a cat or a dog. The father asks him, "Does Frank wish a cat" "Does Frank wish a dog" And the child tries to understand the thought, and afterward he tries to express it by imitating what he has heard. The words come to his lips without any effort; it is nature's way. In teaching words to a child, the words should not be separated from the thought, and the child should be kept free as possible from self-consciousness. Szczegóły: Teachers Manual for the First Reader (Classic Reprint) - Funk Isaac K.
Recenzje: Teachers Manual for the First Reader (Classic Reprint) - Funk Isaac K.